Among the people I met last week at Sutton St James was Tony Fitt-Savage, who retired in 2006 after 39 years as organist at St Mary Magdalene in Sandringham. Tony was kind enough to play for us, four people in a sunlit church on a quiet Thursday morning. The organ at Sutton St James was installed in 1910, by Cousans, Sons & Co, of Lincoln, at a cost of £160. 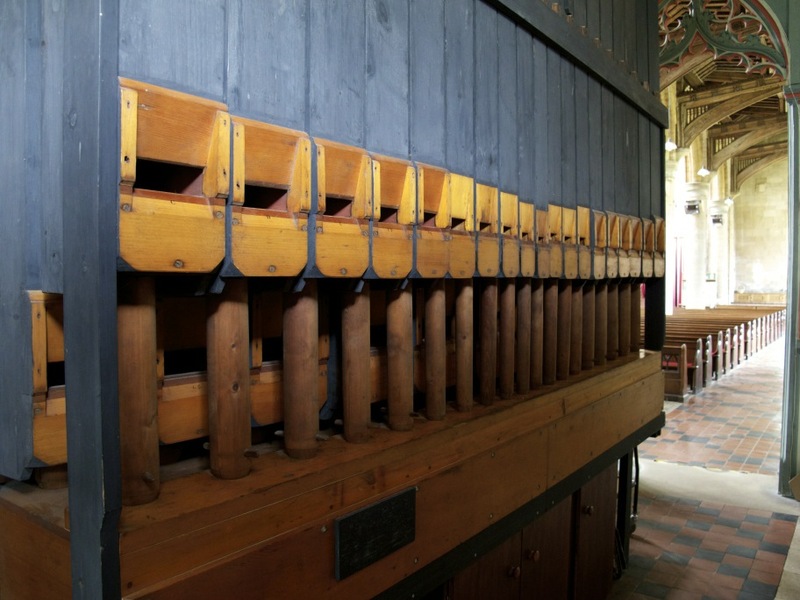 It’s a modest instrument, but one that has accompanied weddings, funerals and everyday services in the church for more than a century, a consistent sound amidst the changing styles of congregations.